Penguin Clock £45 (p&p. if required for this item is £6.50 for standard delivery). Dimensions: Height – 26cm, Width – 18cm approx. 4 in stock. Polar Bear Clock £45 (p&p. if required for this item is £6.50 for standard delivery). Dimensions: Height – 18cm, Length – 28cm. 3 in stock. Dottie Dalmatian Dog Clock £45 (if required, p&p for this item is £6.50, standard delivery). 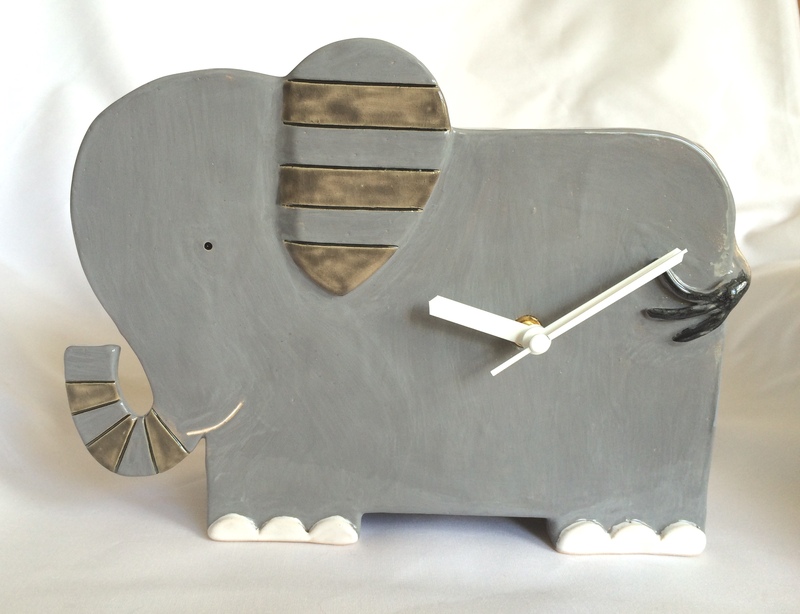 Dimensions – Height 25cm, Width 19cm approx. 5 in stock. 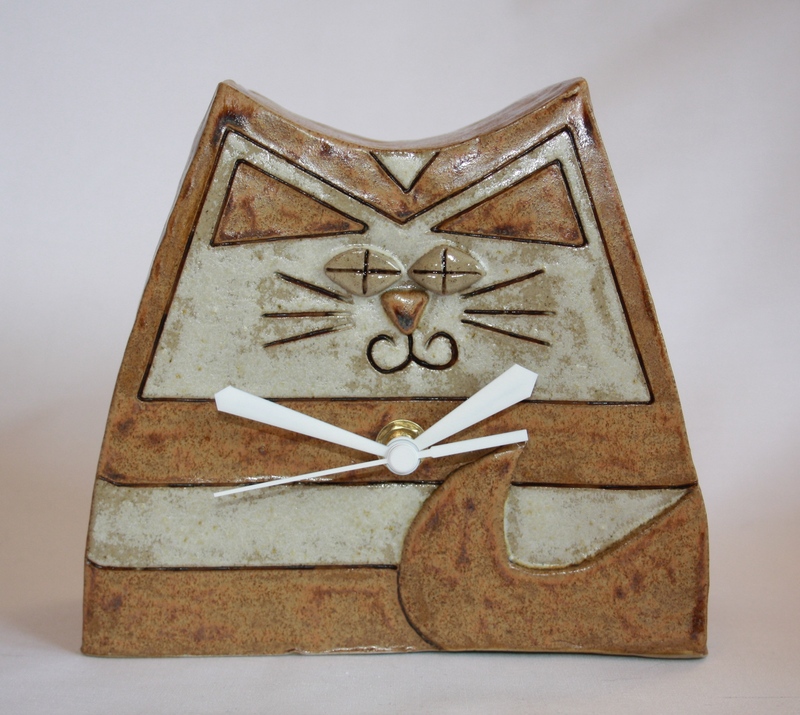 Brown Tabby Cat Clock £45 (if required, p&p for this item is £6.50, standard delivery). Dimensions – Height 14cm, Width 15.5cm approx. 4 in stock. 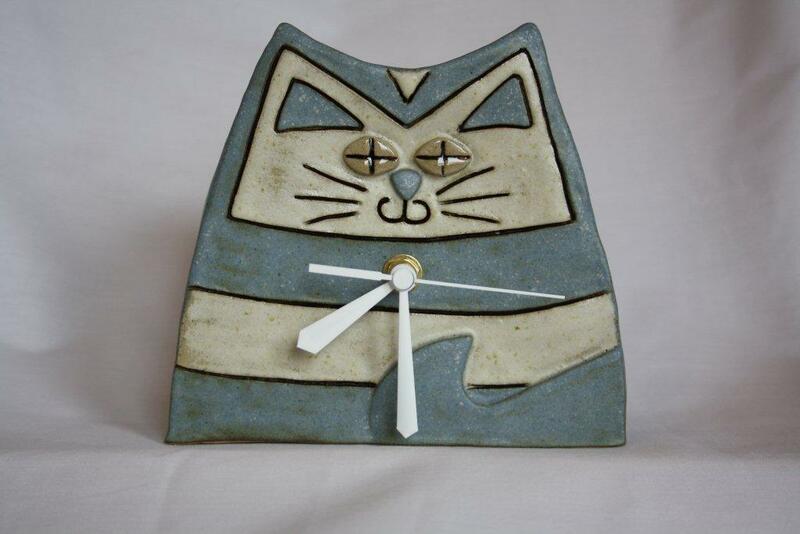 Blue Tabby Cat Clock £45 (if required, p&p for this item is £6.50, standard delivery). Dimensions – Height 14cm, Width 15.5cm approx. 2 in stock. 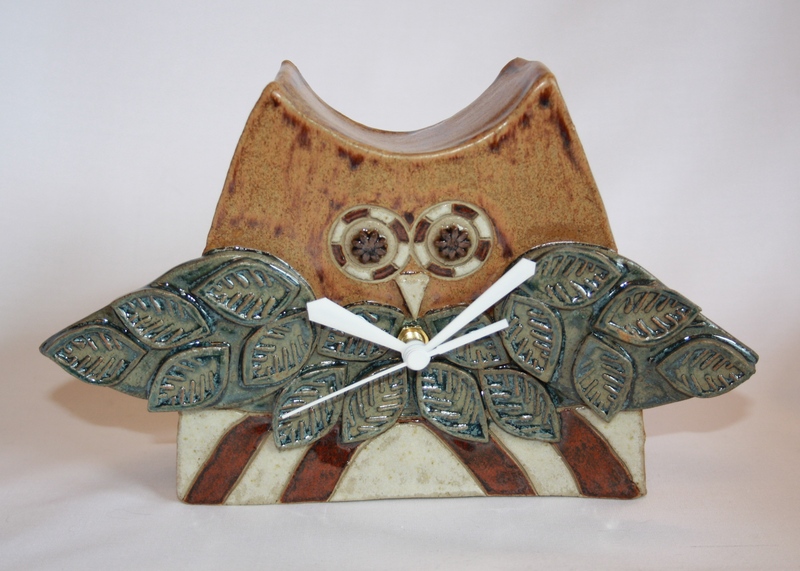 Owl Clock £45 (if required, p&p for this item is £6.50, standard delivery). Dimensions – Height 14.5cm, Width 22cm approx. 2 in stock. Sheep Clock £45 (if required, p&p for this item is £6.50, standard delivery). Dimensions – Height 15.5cm, Length 17cm approx. 2 in stock. 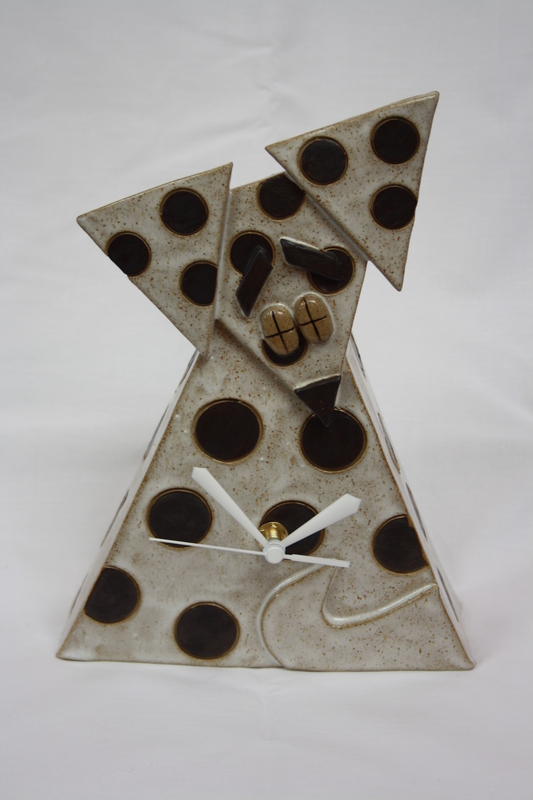 Fabulous Mr Fox Clock £45 (if required, p&p for this item is £6.50, standard delivery). Dimensions – Height 21cm, Width 18cm approx. 3 in stock. Hamish Highland Cow Clock £45 (if required, p&p for this item is £6.50, standard delivery). Dimensions – Height 16cm, Length 17cm approx. 5 in stock. Puffin Clock £45 (if required, p&p for this item is £6.50, standard delivery). Dimensions – Height 17cm, Length 28cm approx. 4 in stock. 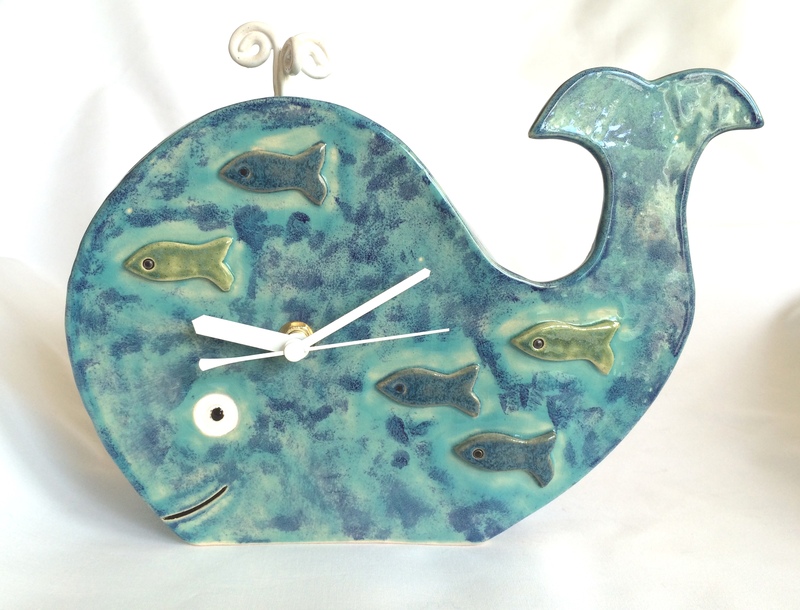 Whale Clock. £45 (if required, p&p for this item is £6.50, standard delivery). Dimensions – Height 20cm, Length 27cm, Width 6.5cm approx. Out of stock. 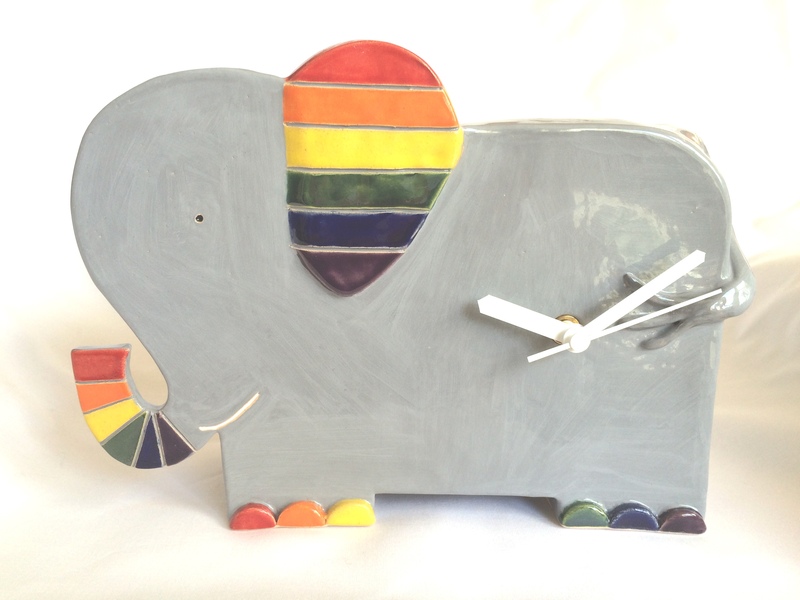 Rainbow Ellie £45 (if required, p&p for this item is £6.50, standard delivery). Dimensions – Height 18.5cm, Length 25.5cm, Width 7cm approx. 2 in stock. Grey Ellie £45 (if required, p&p for this item is £6.50, standard delivery). Dimensions – Height 18.5cm, Length 25.5cm, Width 7cm approx. 4 in stock.